The Tether Table Aero Traveler from Tether Tools is a portable tethering platform engineered by professional photographers and aerospace engineers. Made completely of T6 aerospace aluminum, this non-reflective black textured platform is sleek in design as well as stable and durable. The Aero Traveler is perfect for small netbooks and ultraportable notebooks, thanks to its a surface area of 16 x 14" (40 x 35cm). Located on this tripod platform is the LAJO-4 ProBracket. This bracket makes it easy to mount to any 1/4"-20 tripod head, 3/8" tripod mount, 5/8" stud studio stand or an Arca style mounting attachment. Mounting to any of these stands and supports is quick, seamless and painless. This tripod platform also comes with a custom, high quality storage case to protect the table when not in use as well as a lifetime limited warranty in the rare case that it gets damaged. Box Dimensions (LxWxH) 17.2 x 14.3 x 2.6"
Tether Table Aero Traveler (Non-Reflective Black Finish) is rated 4.2 out of 5 by 13. Rated 3 out of 5 by Russell from Table tends to turn and loosen Product appears sturdy, but I haven't figured out how to prevent it from turning. I ordered this with the Manfrotto 131DDB tripod accessory arm as suggested in Scott Kelby's book Lightroom 4. The computer table screws on to the tripod accessory arm and because of its wide base there is a lot of torque. There is a set screw in the base attachment, but it extends into a non threaded off center 5/8 whole. This should attach the plate securely to a light stand. The Manfrotto device I purchased with this has a threaded coupler. The supplied base on the tether table also has 2 threaded attachments, but using either of these will lead to the device easily loosing and turning. 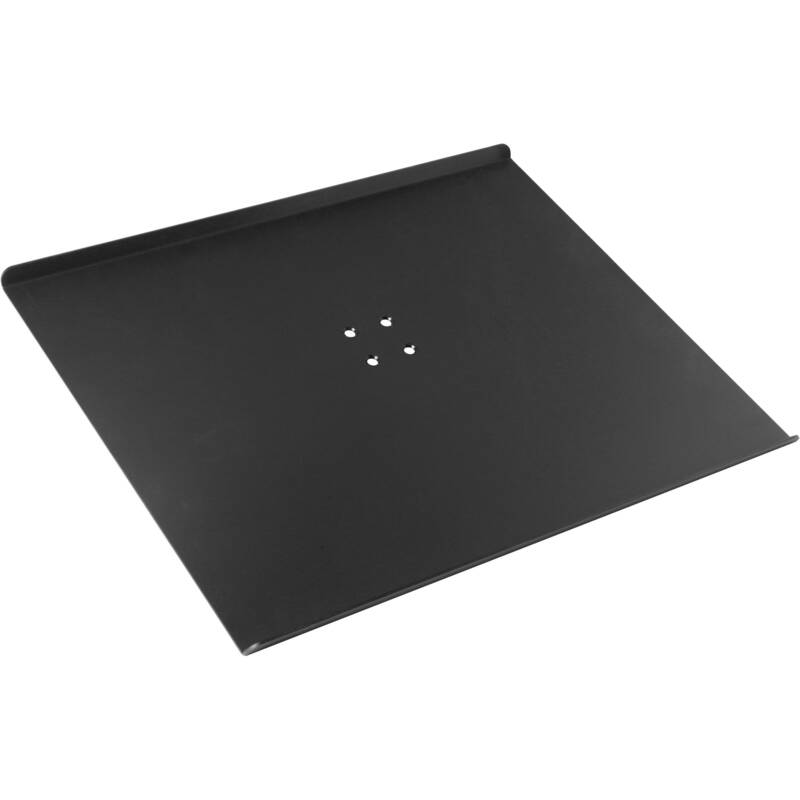 Rated 5 out of 5 by DRA from Expensive but a great compact surface There are a lot of options out there for this sort of thing, but trusting pros like the Tether Tools crew takes a lot of question out of the decision. Yes, it's a sheet of metal and yes it's expensive. But it's built to be compact, light, adaptable and easy to transport. Pop it on an older tripod or a light stand (I trust a tripod more) and you're good to go. I also use the optional strap to keep my laptop secured as well as the jerkstoppers A-clamp to keep the tether cord stable. Rated 5 out of 5 by Green Screen King from Expensive, worth it, perfect. I own 3 of these, I use them on location for iPads (participant photo upload) and my primary laptop. They travel well, and by using standard stands, mix well into my on location kits. I cringe at the price, but they shout professional, I know what I'm doing. Rated 3 out of 5 by Richard from Does the job nicely, but at a price The Tether Table works well for me, both in the studio and on location. I used to use a posing table to support my laptop, but the Tether Table is much more convenient to carry around and much quicker to set up. (I mount it on a lighting stand.) The only downside: for a piece of sheet metal, a socket and four screws, it is very expensive. Rated 5 out of 5 by Timothy from must have! very handy for our needs. we like to have the laptop hooked up to the camera while we're using it - this does the job perfectly! Rated 5 out of 5 by OP from Great for tethered shooting Should of picked up one of these tether tables a long time ago... no longer have to worry about balancing my laptop on chairs/tables/camera cases/etc. This product makes tethering more convenient. I do wish these things were a little cheaper... Seems kind of pricey for what it is.